Wright Veterinary Service, LLC is proud to serve the Kingman, AZ area for everything pet-related. Our veterinary clinic and animal hospital is run by Dr. Darla J. Wright, DVM, who is a licensed, experienced Kingman veterinarian. Our team is committed to educating our clients in how to keep your pets healthy year round, with good nutrition and exercise. Wright Veterinary Service, LLC stays on top of the latest advances in veterinarian technology and above all, remembers that all animals and pets need to be treated with loving care in every check-up, procedure, or surgery. Get to know Wright Veterinary Service! Hello, and thank you for your interest in our hospital! We’re happy to introduce ourselves and share a little bit about our history, our philosophy and our staff. And of course, we would love to hear from you! So if you have any questions, or if you’d rather just talk to us over the phone, give us a call at 928-718-1300. Dr. Wright opened the practice in 2002. 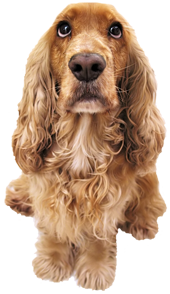 Since then we have undergone many changes through remodelling and adding everything needed to care for your pets while keeping up with the latest advances in veterinary medicine. Our veterinarians pride themselves on their attention to detail and their compassion and caring to the animals and their owners. Clients benefit by taking advantage of quality medical services from highly trained veterinarians and staff. Click here to visit our Team page and get to know more about us.